1 What can I expect from Austin Bartending Co.? 2 What equipment will Austin Bartending Co. bring to my event? 3 How many bartenders do I need? Do I need a bar-back? 5 What drinks should I serve on my event? 6 What do I need to provide? 7 Can Austin Bartending Co. buy everything for us? 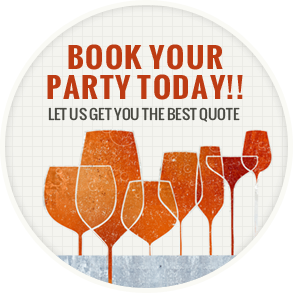 8 Do you offer any additional party rentals? 9 Do your bartending service include a bar? 10 Will the bartender be wearing a uniform? 11 Which forms of payments do you accept? 12 Do the bartenders have their own gear? 13 Do you require a deposit? What can I expect from Austin Bartending Co.? Austin Bartending Co. offers a full service, customized bar experience for you and your guests. We provide a consultation prior to the event date in order to create a customized drink menu for your event. Our bartender(s) will arrive 30-60 minutes prior to the time of the event in order to set up the bar area. Set up includes preparing garnishes (e.g. cutting limes), icing beer, wine, champagne, etc. Our bartender(s) will also be there up to an hour after the event is scheduled to end for clean up of the bar area. What equipment will Austin Bartending Co. bring to my event? How many bartenders do I need? Do I need a bar-back? The following is simply a guideline and not requirement. Usually bartenders can handle 1-100 people per bartender. However, in order to ensure proper tending of the bar area and minimize the waiting time for your guests, we recommend 2 staff for 75+ guests. This may be 2 bartenders or 1 bartender and 1 bar-back. The number of staff for your event will be discussed during your personal consultation. A Bar-back stocks the bar with liquor, ice, glasses, beer, garnishes, and so on. The bar-back receives a portion of the bartender’s tips. A bar-back helps the bartender. Often, a bar- back may be responsible for supporting bartenders in pouring beers, wines, and simple mixed drinks. Our bartenders are professional service providers and tips are customary. Gratuity is not included in our general fees posted above. Guest-Gratuity – This option allows for a tip jar on the bar. Host-Gratuity – The will be no tip jar on the bar and the host will pay a minimum of $2.50 per guest. Some say: TIPS is an acronym for -To Insure Prompt Service-. Austin Bartending Co. will help you create a customized drink menu for your event. We will take your likes and drinking customs and those of your guests into consideration when creating a customized drink menu. You will need to provide everything that is to be served to your guests as well as cups. Austin Bartending Co. can provide you with a customized shopping list based on information gathered about your guests and event. This will include beer, alcohol, mixers, cups, garnishes, etc. Can Austin Bartending Co. buy everything for us? Yes and No. Please refer to our Pricelist Page for everything (mixers, juices, plastic cups, garnishes, etc) except alcohol. Unfortunately, Austin Bartending Co. cannot sell alcohol. However, Austin Bartending Co. can buy it for you through our Concierge Service. Our Concierge Service carries a 20% service fee. A 50% deposit is required when using the Concierge Service. Do you offer any additional party rentals? Yes, we offer keg dispensers, glassware, tables, chairs, linens, and patio heaters for rent. Please see our Products Page for further information. Do your bartending service include a bar? Our basic fee does not include a bar. We can bring a portable bar for an additional $65. Will the bartender be wearing a uniform? Our standard -uniform- is dark jeans and a black long-sleeve (dress) shirt — simple and to the point. If you would like something different, please contact us directly. We accept Cash, Check and Credit Cards. Credit Cards are accepted via PayPal. Do the bartenders have their own gear? We require a $50 deposit and credit that amount to the final balance due. That amount will be refunded to you if you cancel, up to seven days before the event. If you cancel within seven days of the event, we will keep the $50 deposit. A returned check penalty fee of $25 will be charged to a client’s account for any dishonored check. This fee will be waived if the check was returned in error, providing supporting documentation is submitted. Cash, credit card or money order must pay the returned check and penalty fee.